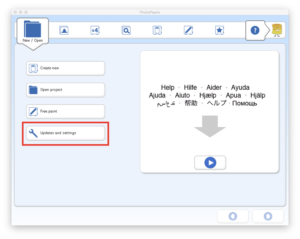 Home > PhotoPearls Support > Questions and Answers > Q: How do I change the language? 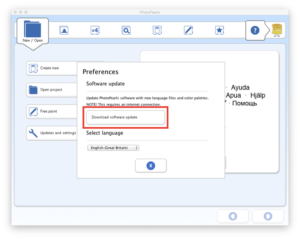 Step 2 – Click the button Download software updates to get available languages. 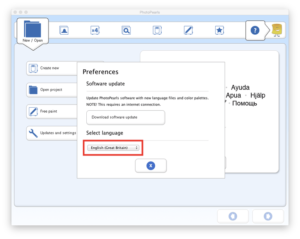 Step 3 – Switch to the desired language from the drop-down menu.